Scenic and serene 19 acre RETREAT...the opportunities for this lovely property are endless! 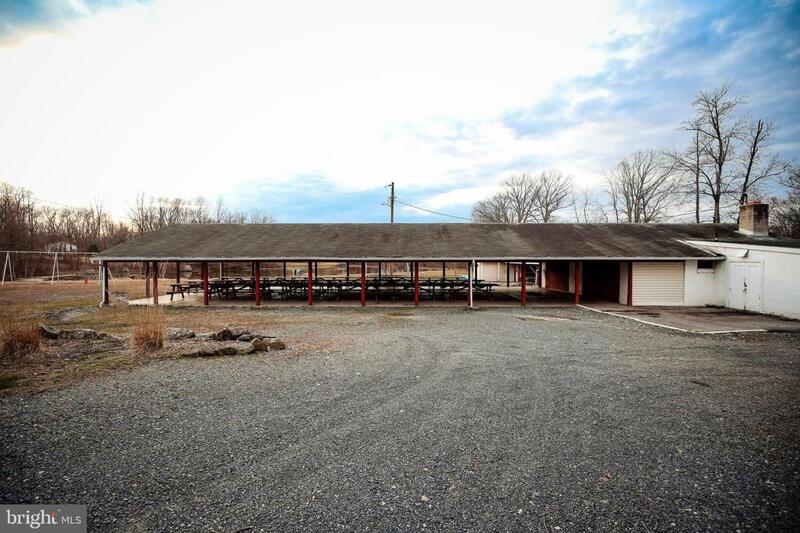 This property contains a spring fed pond, open and tree lined fields (fenced on three sides), stage/amphitheater, playground, horseshoe pits, volleyball court, covered pavilion w/ 18 picnic tables, women and men's bathrooms, and a kitchen and service area. Kitchen comes with ice-maker, freezer chest, 2 stand alone refrigerators, and a full walk-in refrigerators! Lots of recreational and business p;potentials! Also zoned for potential residential conversion. Back 3.2 acres could possibly be subdivided. Inclusions Pavilion W/ 18 Picnic Tables Amphitheater Kitchen And Bathrooms. Kitchen Appliances including ice-maker freezer Chest Walk-In Refrigerator 2 Stand Alone Refrigerators. Above Grade Fin SQFT 0 Below Grade Finished Area 0 Below Grade Unfinished Area 0 Building Area Total 8488.00 Building Features KitchenMeeting RoomsOven/Range(S)Public RestroomsRecreational FacilityRefrigerator(S)ShelvingWalk-In Box Fireplaces Total 0 Heating Other Heating YN Yes Inclusions Pavilion W/ 18 Picnic TablesAmphitheaterKitchen And Bathrooms. Kitchen Appliances including ice-makerfreezer ChestWalk-In Refrigerator2 Stand Alone Refrigerators.